LTD Commodities is kicking off their fall campaign with some great tips! LTD also has fantastic products to help gear up for fall, and they sent some samples! Yes, it was an eclectic set. But here’s the thing, and it’s a bit of a confession…I didn’t look much at the list after I read ‘Pioneer Woman’. You see, we love Ree and followed her blog WAY before she hit it big. I KNEW this cookbook wouldn’t disappoint. It was kinda funny to, that throughout the book are little pictures and comments about Marlboro Man…and of course, pictures of the process of creating her delectable delights! 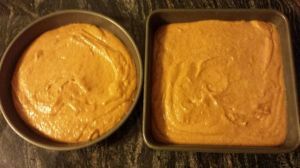 M2: Custom Molds (it’s a how-to in making custom candy molds from cornstarch…what can I say…she’s 5). Naturally, I disregarded their ideas, took stock of what we had on hand, and made the Autumn Pumpkin Bars from the Harvest Table cookbook. Sort of. 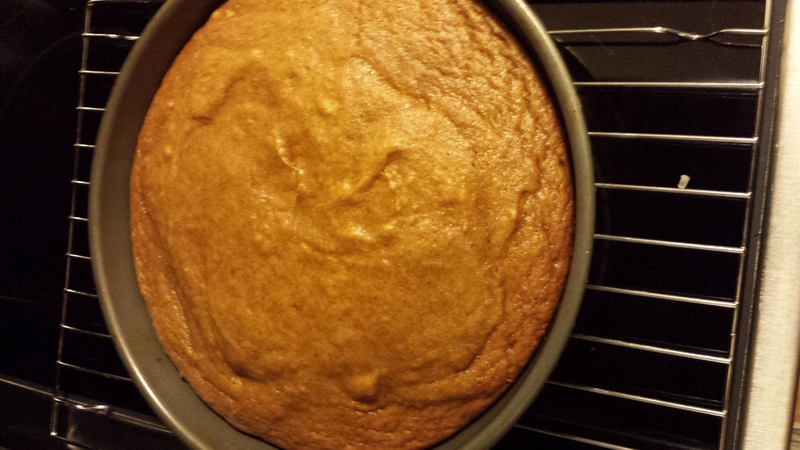 You see, we had a large can of pumpkin…a little over 50% more than the recipe called for, so I approximated the other ingredients, almost had a catastrophe because the bowl I chose to mix in was JUST barely big enough (putting in the beaters almost overflowed it!). 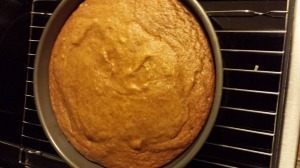 And yes, I DID bake bars in a round pan…like I wrote, it’s art, not science. Regardless of the shape, the kids loved it, and I thought they were really good. 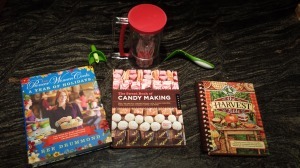 Definitely check out those cookbooks and the other items LTD Commodities has available!